Charming community and farm simulators are all the rage right now. A handful of titles are making waves across the gaming industry and another major name is entering the fray. Coming November 14, Harvest Moon: Light of Hope brings its charming gameplay to PC for the very first time with Nintendo Switch and PS4 versions to follow in early 2018. "Due to the hard work of our team, development for Harvest Moon: Light of Hope for PC ran ahead of schedule, allowing us to release the game early to PC players," said Hiro Maekawa, President & CEO of Natsume, in a press release for the announcement. "We have enjoyed creating an all-new game that honors 20 years of Harvest Moon, and what's more, the franchise will finally be available for the first time on PC, something fans have long asked for!" Light of Hope has players crashing into a harbor town and looking for a fresh start with the community-building, farming, and crafting gameplay typical of the Harvest Moon series of games. New additions include Repairing, which will allow players to fix up old homes, shops, tools, land, and even characters. The developers adopted a retro art-style for the series' 20th anniversary and they're holding a drawing contest in celebration as well. Animal Crossing, another community sim heavyweight, is making headlines with its new mobile game for iOS and Android. Stardew Valley is the golden child among newcomers, leading the indie charge on the Nintendo Switch, but Re: Legend will be hot on its heels when it releases sometime in 2018. Fans of community/farm sims can get their fix and more on just about any platform. Harvest Moon: Light of Hope will be available November 14, 2018, for $29.99 on Steam. Exact dates for the Switch and PS4 versions will be revealed in the future. "Due to the hard work of our team, development for Harvest Moon: Light of Hope for PC ran ahead of schedule, allowing us to release the game early to PC players,"
That's because this isn't a full regular Harvest Moon game. Just look at the gameplay video. It's basically a Facebook-style game. Don't believe me? I honestly hope this thing tanks. It's a travesty to the Harvest Moon brand. WTH are they thinking? The series you're looking for is now called Story of Seasons in English. The earlier games were published under the name "Harvest Moon" in North America by Natsume Inc. who did the translation and owns the name. 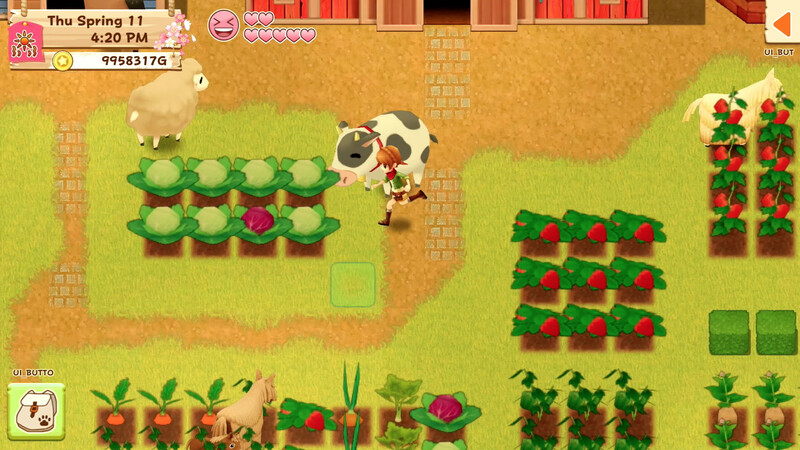 They and the developer broke up a few years back however Natsume has continued to release other games using the title Harvest Moon leveraging the 20-year mind share. Ya I'm familiar with story of Seasons. Just lamenting how they're driving the brand into the ground.